HTBH 022: Relationship Advice; Are Arguments and Sarcasm Healthy? Emily I rarely argue… actually, I’d say we don’t. Sure we may get snippy with each other from time to time, but we’re quick to recognize it and squash it as quickly as possible. That certainly is a contrast to many of our past relationships. Today we’re looking at the question: are arguments and sarcasm healthy? We sat down to discuss arguing, sarcasm, and a few questions we thought of along the way. 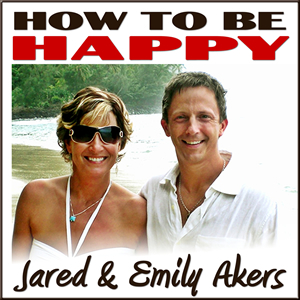 Below are some we touch on in this episode of the How to Be Happy Podcast. A lot of successful couples will say that arguing in relationships is normal. But is it really? And when do healthy argument’s turn into something more? What is sarcasm? Some say it’s harmless and think it brings humor to their relationships, but what is it really doing to those involved? Is there really a way to “fight fare” and what does that mean? Sarcasm (from HealthGuidance.org Psychology of Sarcasm – Dealing With Sarcastic People) simply put is when someone says something that everyone knows is untrue in order to draw attention to is ridiculousness. There’s passive and aggressive sarcasm. How to stop someone’s sarcasm: Address it by letting them know how it makes you feel. Some people say all couples fight, is this true? Is it healthy to fight?